The apartment is located in the quiet, well-kept apartment complex Atalaya with a beautiful pool, which is cleaned daily; also suitable for children. In addition, there are enough sun loungers available. In addition, the apartment has a balcony with a beautiful view of the complex. Double bed, also to be separated, built-in wardrobe, chest of drawers, safe. Couch bed (90x200 m), including a pullout kl. Bed (child) 80x180, armchairs, large flat-screen TV with private German satellite channels. Cable for connection from laptop to TV. The laptop in the picture is not part of the equipment. There are also various guides available. - Dining table for 4 pers., Chest of drawers. - Kitchenette: ceramic hob, microwave, small oven, large new refrigerator with freezer, washing machine, coffee maker, kettle, toaster, vacuum cleaner, ironing board u. Iron. Bathtub m. Shower, sink, drying rack, hair dryer and electric. Heater. - Bed linen, bath and hand towels, as well as kitchen towels and tablecloth are generously available. Likewise towels for the beach. - Darkening or Thermal curtains and fabric curtains. Final cleaning 50 € per stay. Any damage, loss of the key, etc. will be charged. One more request, no pets, no parties or other celebrations are allowed in the interest of all holiday guests. If you have any questions, please do not hesitate to email us. We wish you a relaxing stay and have fun in Lanzarote! For bicycles and prams there is one separate storage room within the facility. Can be securely fastened with lock. Hello, thanks for your rating. I am always happy about contented guests. The location is very well described by you. Bogart's bar is always the last drink for us to go to sleep. (We also love the cats there very much). Also thank you and maybe another time again. Property size OK, needed a cooling fan. The support from the agent nonexistence. Property size OK, needed a cooling fan. The support from the agent nonexistence. Staying for two weeks there was no change of bedding and so we had to wash the bedding three times and hoped it would dry. During the stay we never saw or met the agent and feel the owner is not getting value for money. Der Mieter hatte drei Telefonnummer zur Kontaktaufnahme: Eine aus Lanzarote und zwei aus Deutschland, davon eine englischsprachig. Eine dieser Nummer wurde nur am ersten Abend genutzt, um einen Tischventilator zu bestellen. Ein Tischventilator ist jedoch nicht Bestandteil der Wohnung. Dies wurde folglich nicht von mir erfüllt, weil zudem ein Bodenventilator (heiß & kalt) vorhanden ist. Der Bettwäschenwechsel während des Aufenthalts ist in den Händen der Mieter, es sind mehrere Ganituren in der Ferienwohnung vorhanden. Außerdem hatte der Mieter die Möglichkeit, jederzeit die Agentin zu kontaktieren. Das wurde nicht genutzt. 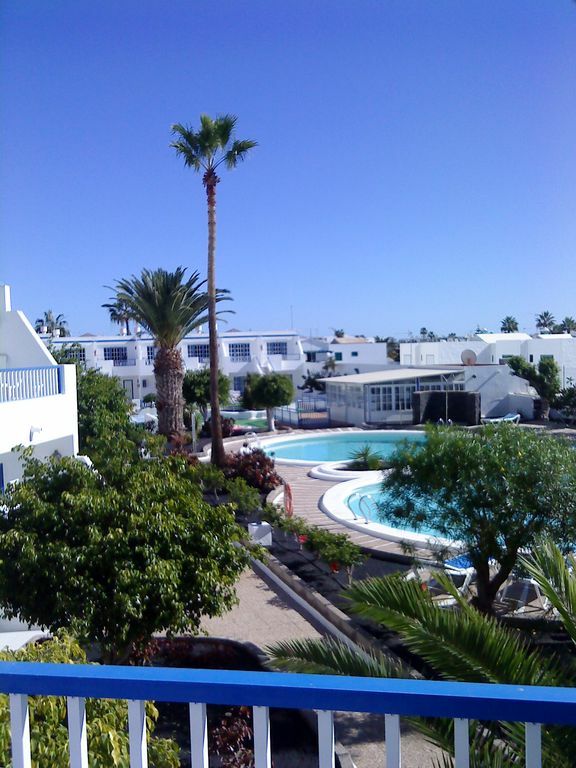 The tenant had three phone numbers to contact me: one from Lanzarote and two from Germany, one of them in English. Only one of these numbers were used on the first evening to order a table fan. However, a table fan is not part of the apartment. This was therefore not fulfilled by me, also because a floor fan (hot & cold) is available in the apparment. The change of bed linen during the stay is in the hands of the tenant, there are several ganitures in the appartment. In addition, the tenant had the possibility to contact the agent at any time. This was not used. Wir haben uns während unseres ganzen Urlaubs gut aufgehoben und betreut gefühlt. Es gab jederzeit einen deutschsprachigen Ansprechpartner, der bei möglichen Problemen weiterhelfen konnte. Sowohl die Schlüsselübergabe als auch -rückgabe erfolgte problemlos. Das Appartment ist mit allem Notwendigen ausgestattet und verfügt über bequeme Betten. Bettwäsche und Handtücher waren ausreichend vorhanden. Besonders schön ist, dass der Balkon vom Pool nicht einsehbar ist und man dort in der Sonne frühstücken kann. Wir würden das Appartment definitiv weiterempfehlen. Sehr schönes und gepflegtes Appartment in einer ruhigen Lage aber doch zentral. Wir haben uns sehr wohl gefühlt. Das Appartment ist mit allem ausgestattet, sehr gute Matratzen, alles sehr sauber. Schöner Balkon mit Blick auf den Pool. Wir würden jederzeit wieder kommen. Von der Buchung bis zur Ankunft fühlten wir uns gut betreut. 100 % weiterempfehlung. Gerne würden wir Sie wieder in unserem App. begrüßen. The apartment is located in a quiet area, near the beach Playa Grande. Also suitable for seniors and families with small children, as no steep path to the promenade, a few steps, garaging (storage room roofed) in the area for prams and bicycles.